March 17 - Thirty-seven sporting legends who it is hoped will inspire competitors at the Nanjing 2014 Summer Youth Olympics have been unveiled. 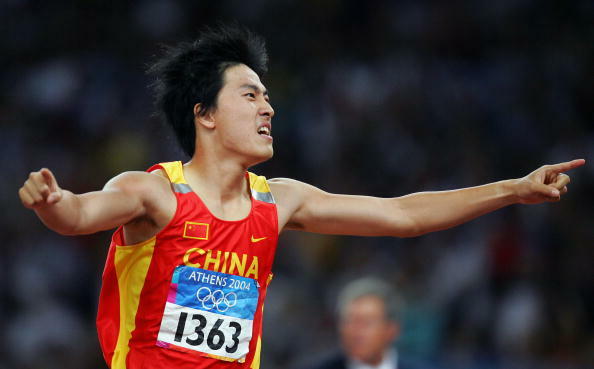 China's 110 metres hurdles Olympic champion from Athens 2004, Liu Xiang, is among the Athlete Role Models (ARMs) announced by the International Olympic Committee (IOC). They have been chosen by the 28 international federations whose sports will feature at the Games in the Chinese city of Nanjing from August 16 to 28. The 37 will help support, mentor and advise the around 3,800 youngsters taking part in Nanjing 2014. Competitors will be able to speak to them both at the Youth Olympic Village and at a series of educational activities and workshops focusing on areas like leading a healthy lifestyle, social responsibility and Olympism. As well as being behind the scenes at competition venues, the ARMs will be available for informal chats in a specially set-up lounge, and they will host "chat with champions" sessions. Youth Olympic Games fans from around the world will also have a chance to have their questions answered by the ARMs during chat sessions run online by the IOC. Claudia Bokel, chair of the IOC Athletes' Commission, said: "The Athlete Role Model programme is a really unique element of the Youth Olympic Games (YOG). "The ARMs have so much valuable information to pass on to the younger generation. "They will really inspire and empower the athletes long after the Games conclude to not only be great 'Youth Olympians', but to share the skills and values learnt at the YOG with their communities and peers." The other ARMs unveiled today include Dwight Phillips, who won long jump gold for the United States in Athens 2004; Chinese foil fencer and London 2012 gold medallist Lei Sheng and retired South Korean golfer Grace Park.